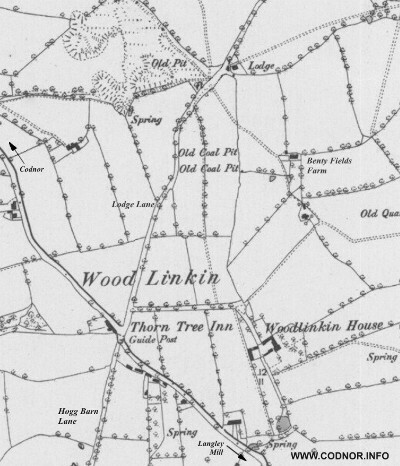 Lodge Lane is located just off Nottingham Road Woodlinkin, directly opposite The Thorn Tree public House (now George’s Traditional Fish & Chips). It was named after the Lodge that existed towards the end of the lane; this was demolished in the early 1900’s. Prior to the lodge, the lane was called Coal Pit Green Lane and connected to Castle Lane. Fig.1 This map dated 1881 shows the location of Lodge Lane. 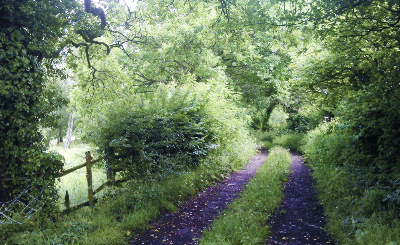 Also Hogg Barn lane, which led to Loscoe Dam. During the 16th century Lodge Lane together with Hogg Barn Lane and Glew Lane formed part of a main thoroughfare for the transportation of coal from the Codnor and Loscoe estates to Derby via Kiddersley Park. In about 1540 the route through Kiddersley park was blocked by Sir Henry Sacheveral of Morley Hall over a disagreement with Sir John Zouch of Codnor Castle, regarding payments of coal in exchange for free access through Kiddersley Park. Fig.2 In the book ‘My Village’ Joseph Millot Severn describes Lodge Lane as a delightful, fairy-tale retreat, and a happy hunting ground for Gypsies, numbers of whom regularly camped there. 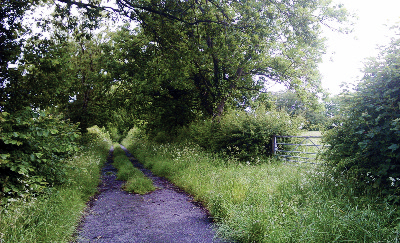 The lane has changed little since Joseph Millot Severn's days, and remains one of the few places in the district not to have been affected by opencast mining. Fig.3 The lane now ends at the approximate location of the demolished lodge, the remaining part of the lane having been removed when the golf course was extended. 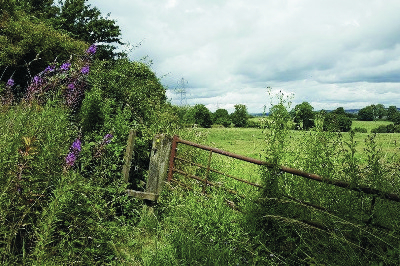 Access to Castle Lane is now over a stile and across two fields.